Now on tour, the Raw Beauty NYC photography exhibit was recently shipped from Acorda Therapeutics, a New York based, bio-tech company aimed at improving the lives of those with nervous disorders, where it was displayed for a month, to Shake-a-Leg Miami. 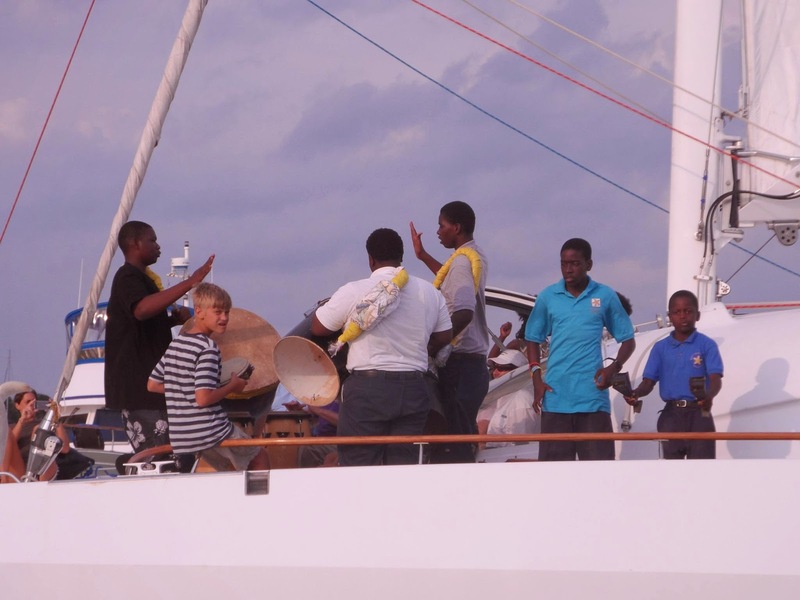 Shake-a-Leg is a non-profit organization whose mission is to use the marine environment to improve the health, education and independence of adults and children with disabilities as well as disadvantaged youth and their families. This organization opens the sailing world to those who may have never been able to experience it, otherwise. The exhibit was unveiled on the evening of May 14 to approximately 200 attendees and the funds raised went to Shake-a-Leg Miami and another non-profit, Impossible Dream which was founded by Raw Beauty NYC model, Deborah Mellen. “I grew up in New York, the child of Holocaust survivors. In my early 20’s, I met a wild Italian photographer in New York, we fell in love and soon after got married. For a while we lived in NYC, we were a very young couple and enjoyed experiencing life on the edge. One day we decided to move to Tuscany, where Raoul was from originally. We lived in a country house in a small town in Chianti, surrounded by gentle slopes covered with vineyards. Raoul created art and I immersed myself in the Italian culture. I fell in love with all things Italian and decided it was the right time to become a mom and raise my children in the Tuscan sun. Destiny, however, had something else in mind. We were driving on a highway when the driver of the truck in front of us fell asleep at the wheel, causing a multiple car crash. When I woke up I was in pieces; my head had smashed against the windshield, I was broken inside and out. At the beginning we didn’t really know the full consequences of my injuries. The doctors were trying to keep me alive and were beginning to literally reconstruct me. I endured an endless number of surgical procedures, but by the end I had to face the fact that I lost the use of my legs. Two years later, my husband tragically died from a degenerative disease and suddenly I found myself alone in Italy, a paraplegic widow. I came back to the States with the feeling that I had lost everything that I had cared about and loved. I told myself to keep going and live my life no matter what. With the help of friends and family, I began to live my life alone, in a foreign body. 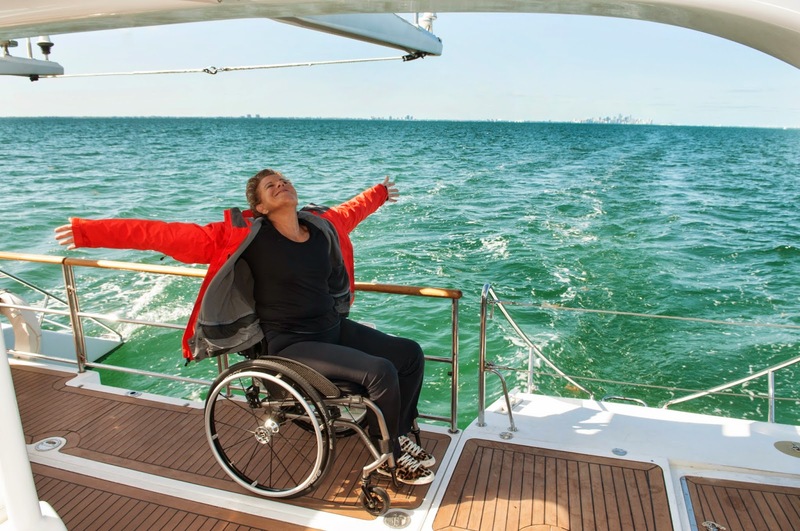 Most of my rehabilitation was done in Miami, Florida and it was there that my surgeon put me in touch with Shake-a-Leg, an organization devoted to bringing the experience of sailing to people of all abilities. I fell in love with the beauty of sailing, the wind, the water, the silence and peace. Water was an element that offered me the physical freedom that I no longer found elsewhere. As pleasurable as it was, though, the sailing experience was still relatively limited. The boats were often small and you could only sail for a few hours. So I began to dream of a way to sail in a grander style. One day, an Italian friend, a paraplegic sailor himself, pointed out to me the existence of a 60-foot long ocean ready catamaran boat in England, called “The Impossible Dream, built specifically to be wheelchair accessible. I flew to England to see the boat and it was not only 100 percent wheelchair friendly, but gorgeous. And so with my impulsive kind of style, I bought the boat and shipped it to the US. Since then, I have turned “The Impossible Dream” into a “Possible Dream” for all. She is in her new home at Shake-a-Leg, Miami, and we are a non-profit organization devoted to offering sailing to all as well as, using the boat to connect with people in all kinds of communities to expand awareness that anything is possible. Initially, Deborah was reluctant to be photographed for Raw Beauty NYC, as she had always felt more comfortable behind-the-scenes but then after much thought, finally agreed. As with all the models, she went through a process of answering questions and writing to create her narrative that would be placed next to her photo on the wall, at the exhibit. Little did she know that being photographed and writing, was for her (and many others), really a journey of self-discovery and empowerment. Deborah embodies the spirit of the Raw Beauty Project: “Embrace your beauty. Own your power. Live your passion.” At 60 years old, she is living her life to the fullest and demonstrates the raw beauty that exists in each and every one of us. The crowd broke into applause when she ended her speech with, “ These photographs are sending one unanimous message. We are not less..we are more...”. To learn more about Impossible Dream, visit http://impossibledream.us/ and Shake-a-leg Miami, visit http://www.shakealegmiami.org/. If you are interested in having Raw Beauty NYC photography exhibit your school, organization or company, please go to http://www.rawbeautynyc.com/tour.html .